If you are looking for 0 AWG cable, you might want to consider TEMCo highly durable and flexible 0 AWG welding cable. 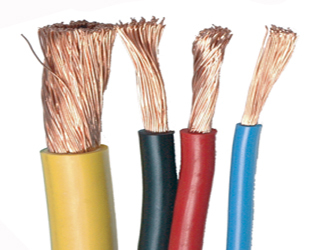 0 AWG cable can also refer to any type of wire with the standard American Wire Gauge (AWG). 0 AWG cable refers to the wire size and strand count in the American Wire Gauge system. AWG is used predominantly in the U.S. and Canada for the diameter measurements of a solid, round nonferrous wire. When people are looking for 0 AWG cable, there is a good chance that they are looking for welding cable, since 0 AWG cable is fairly large. Typical cable sizes used in arc welders are 2 AWG and up, although welding cable sizes range from 4/0 (0000) AWG up to 40 AWG, with 4/0 AWG being the larger size. Sizes with multiple zeros are successively larger than 0 AWG can be denoted with the number of zeros followed by a backslash and then 0. For example, 0000 is denoted as 4/0. 0 AWG cable which has one 0 (zero), is a special case and can be written as 0 AWG or 1/0 AWG as the two have been interchangeably used. 4/0 aught wire is the largest standard welding cable size offered from TEMCo, with diameter measurement of 0.4600 inch, down to 6 gauge (0.1620 inch). TEMCo also sells 0 AWG cable which has a measurement of approximately 0.3249 inches. Stranded wires are specified with three numbers. The first number is the overall AWG size. The second number is the by number of strands, and the third number is the AWG size of the individual strands. The strand count and the gauge of a strand are separated by a slash. For example, 4 AWG with 364/30 refers to 4 AWG wire made with 364 strands of 30 AWG wire. Since we know the diameter and AWG number have an inverse relationship, 364 strands of the smaller 30 AWG is precisely packed into a size 4 AWG cable. Below is a sample of chart with AWG size and conductor stranding counts in the second column.